India’s Minister of Petroleum and Natural Gas Dharmendra Pradhan at SPIEF-2016. 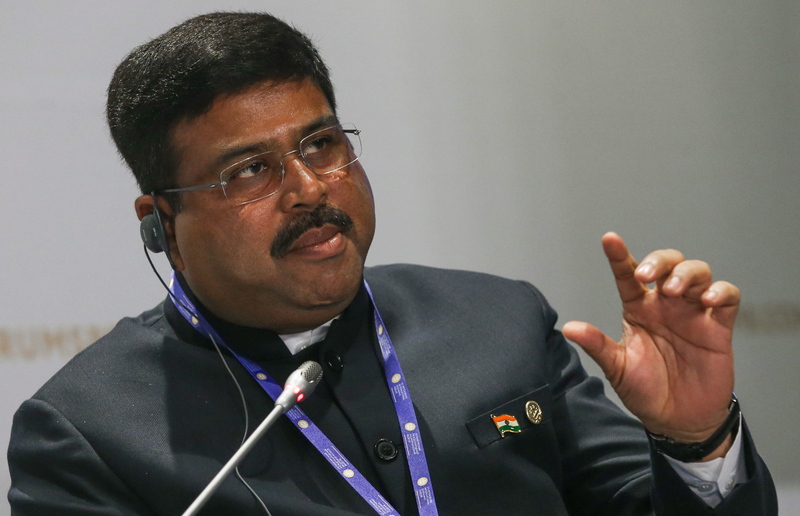 India’s Minister of Petroleum and Natural Gas Dharmendra Pradhan expects Rosneft will come to the retail market. India’s authorities expect that Rosneft will create a network of gas stations in the country, India’s Minister of Petroleum and Natural Gas Dharmendra Pradhan said in an interview with TASS. According to him, in terms of energy consumption India has outrun all the countries, including China. "I would expect that Rosneft will come to the retail market," the minister said adding that the Indian authorities deregulated the market and introduced a market-based pricing. "I expect that Russian companies will become part of the Indian market. Retail, processing, infrastructure, terminals - in all areas of petrochemicals. Resources - from Russia, market - from India," he said. Indian Oil and Petronet LNG are interested in the second stage of the Yamal LNG project and are in talks with Russia’s largest independent gas producer Novatek, the minister went on. "We do not participate in the first stage of Yamal LNG," he said adding that today they Indian delegation had a very good discussion with Novatek about potential participation in the second stage of the project. "This is a preliminary proposal. We saw it," he said adding that from the Indian side there will be two companies - Indian Oil Corporation and Petronet LNG. The two companies will continue to discuss their participation in the project with Novatek, he said. According to him, India is interested in LNG deliveries from Russia. During the visit of Indian Prime Minister Narendra Modi to Moscow in December 2015, Russia and India agreed to intensify cooperation in the oil and gas industry. Earlier, First Deputy Director of the Yamal LNG project Dmitry Monakov said that China, Japan and India are the main consumers of liquefied natural gas (LNG) produced at the Yamal LNG plant. Novatek holds 50.1% in the Yamal LNG project. The minister added that India's ONGC is studying the possibility of participating in privatization of the government’s stake Russia’s state-owned oil company Rosneft. "We know about it. We are studying this issue," the minister said. Indian companies are ready to invest $5 billion in the development of the Vankor and Taa-Yuryakh fields, the minister went on. "We bought a 15-percent stake in the mining block from Rosneft. We are discussing the purchase of an additional stake in Vankor. If everything goes well, our investments will reach $ 5 bln."